Our products are delivered in company owned vehicles by DEP certified technicians to the point of use. All service and lab reports are electronically forwarded within 24 hours of testing. Some biological tests require additional time for results. 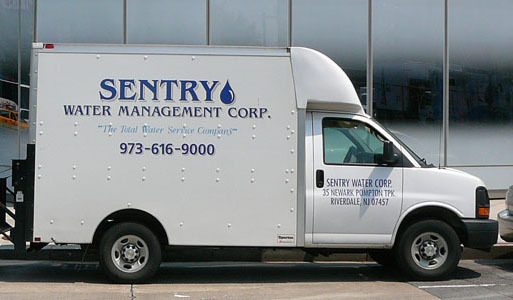 Sentry Water Management is available for "Event" situations 24/7 with a 90 minute response team.